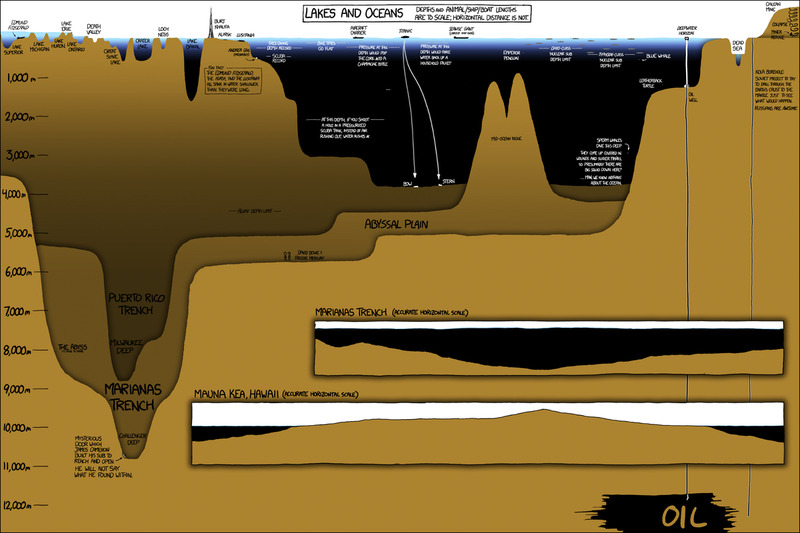 The depths below the ocean's surface comprise a staggering 95 percent of the Earth's living space, and much of it is unexplored by humans. As you can see, most of the ocean doesn't even see sunlight. In fact, getting to the deepest reaches of the ocean is so expensive that some people - like Oscar-winning director James Cameron - take it upon themselves to explore underwater spaces rarely visited by humans.